Dubai , july 04,2018-Dubai-based Emirates Airlines took the ‘Hindu meal’ option off its menu mentioning a review of its services and customer feedback as the reason. The airline on Wednesday said the decision of withdrawing the ‘Hindu meal’ option from its in-flight menu was taken following a review of the on-board products and services. “As part of our continuous review of the products and services available to customers, Emirates can confirm that it will discontinue the Hindu meal option. We constantly review our offering, taking into consideration customer uptake and feedback. 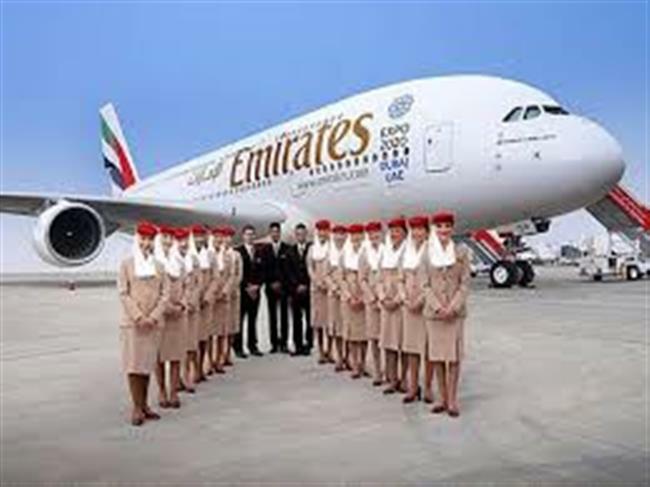 This helps us improve service efficiencies,” Emirates said in its statement. The airline added that the Hindu passengers would be able to choose from a variety of vegetarian and non-vegetarian regionally-inspired meals. “Food and drink form an integral part of any Emirates flight experience and our menus are created by leading chefs to reflect the culture and preferences of Emirates’ diverse customer base. Emirates will continue to provide meal options catering to a number of health and dietary requirements,” the airline added in the statement. The passengers will still be able to book Vegetarian Jain Meal, Indian Vegetarian Meal, Kosher meal and Non-Beef non-vegetarian options. “Hindu customers can order in advance from a wide variety of regionally-inspired vegetarian and special meals catering to specific dietary requirements, in all classes of travel… (including) options of religious meals like Vegetarian Jain Meal, Indian Vegetarian Meal, Kosher meals and Non-Beef non-vegetarian options as well,” the airline said.